I'm sure you'll agree that architecture is a real art form. This is art that you can interact with; you can walk up to it, touch it and even venture inside it! It's impossible to even imagine doing anything similar with any other type of art. What's even better is that these days you don't even have to be in the big cities to see the most amazing and spectacular feats of architecture. More and more frequently designers and builders are heading out further and wider, to take awe-inspiring buildings to every corner of the globe – as you're about to find out. These aren't just some of the biggest, most important, most famous buildings in the world. Here you'll discover some of the smaller, lesser-known dwellings which have still received a huge amount of care and attention. Prepare to be blown away, as some of the buildings seem to defy the laws of both convention and physics! With its round, saucer-like shape and space-age style, the Niterói Museum of Contemporary Art has often been likened to a UFO, especially as it's perched on the top of a steep cliff. Unsurprisingly, it's an art gallery, but this is one art gallery where you can see the creative juices flowing before you even set foot inside the door. However, this amazing building goes one step further. Its large, curved walls offer spectacular panoramic views of the surrounding area, which leads the visitors to turn their attention outside and to start thinking of nature itself as artistic. 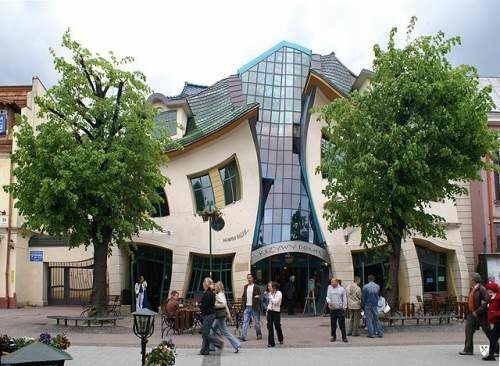 The fact that this building can turn so many perceptions upside down makes it all the more impressive! Although it might look like some cutting-edge design factory or art gallery, this magnificent building is, in fact, a winery. The roof is curved with undulating wave-like shapes, which allow it to blend in with the surrounding countryside much more than if it was just a concrete block. 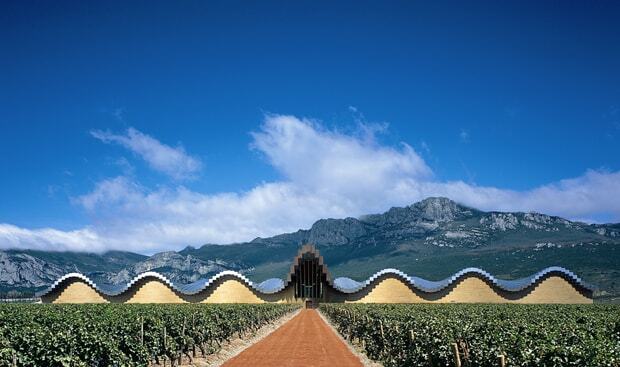 In my opinion, the mixture of delicious wine and fabulous architecture is one of the most appealing combinations ever! Learn more about this unique building here. 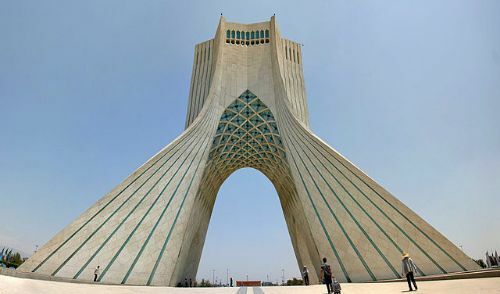 Literally translated, 'Azadi Tower' means 'Freedom Tower'; its formidable structure certainly does give the impression that anything is possible. It was built over 40 years ago as a celebration of the 2,500th anniversary of the Persian Empire; its magnificent design is a fitting tribute to the magnificence of the Persian Empire. 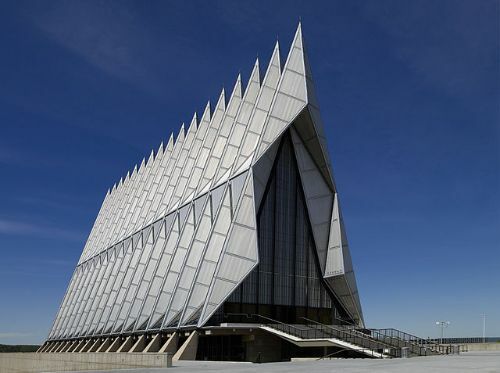 This building might be impressive from the outside, but it also holds a lesser-known secret. At its base there is an entrance to an underground museum containing all sorts of expensive artefacts. Somehow that makes it seem even more mysterious and exotic than before! 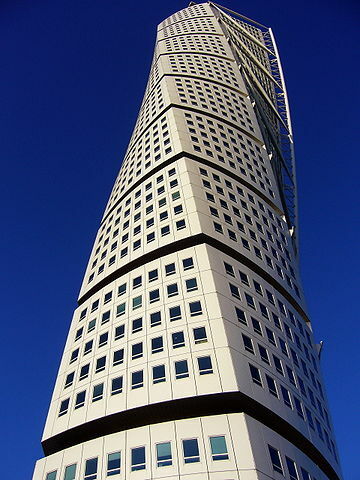 At 190 meters (623 feet) tall, the Turning Torso is the tallest building in Scandinavia. 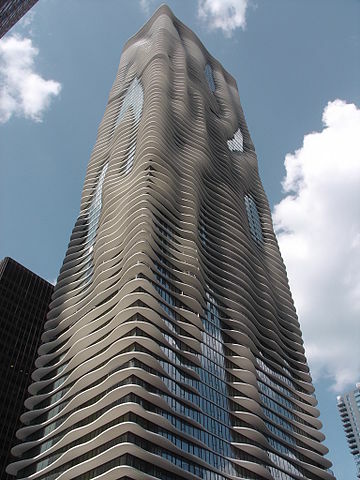 Its design was based on a sculpture made by the architect himself, which was of – you guessed it – a twisting human torso. This building contains hundreds of apartments, as well as many of the other facilities that you might find in a large apartment block, such as a gym. I imagine living in an apartment block like this would be pretty cool; at the very least, it'd make for an interesting talking point during dinner parties! The Blur Building is unlike any other building in the world. 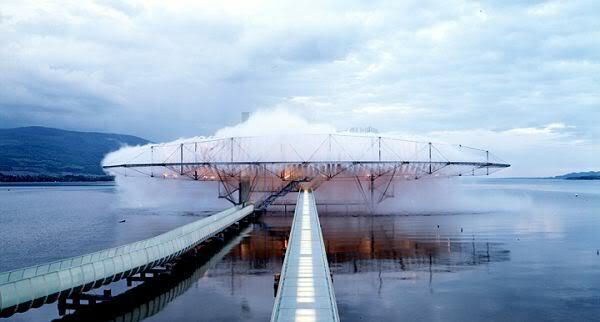 For starters, it is built on a lake; a fine mist of water from the lake is sprayed around the building, obscuring it from sight completely. Furthermore, it's not like other buildings in the traditional sense, in that it doesn't contain offices, apartments, an art gallery, or anything similar. This building is an experience – it's as simple as that. To enter, visitors must wear a special coat which records data and sends it back for computer analysis. These coats can track everything from the wearer's location to the wearer's attraction to other visitors, making it an entirely interactive experience. Without a doubt, being able to walk around what is essentially a large cloud filled with top-of-the-range technology makes this one of the most unique buildings in the world! 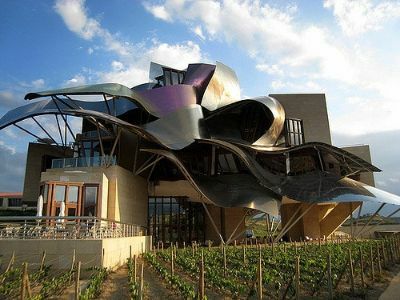 If you've ever seen the Guggenheim Museum in Bilbao, you'll already be familiar with the work of architect Frank Gehry. One of the other eye-catching projects that he has under his belt is the Hotel Marqués de Riscal, a luxury hotel in Spain. From the inside it offers guests opulence like nowhere else, including a fantastic restaurant, an immense library and an in-house winery, while outside it's a feast of cutting edge design. The extravagant, curving titanium roof means that there isn't a straight line in sight; instead, this building seems to be full of movement and life. This is actually a working hotel which tourists can visit…holiday, anyone? No prizes for guessing why this building's called 'Atomium'. 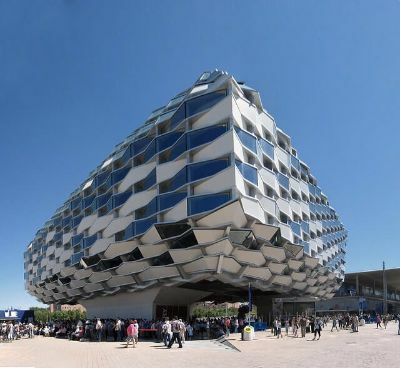 You only have to have walked past a science classroom at some point during the last century to recognize the distinctive shape of a chemical substance – in this case, the building is designed to resemble a crystal of iron. It might look pretty scientific, but it's actually an art gallery, with specially designed elevators to take visitors between the pods – or exhibition rooms. 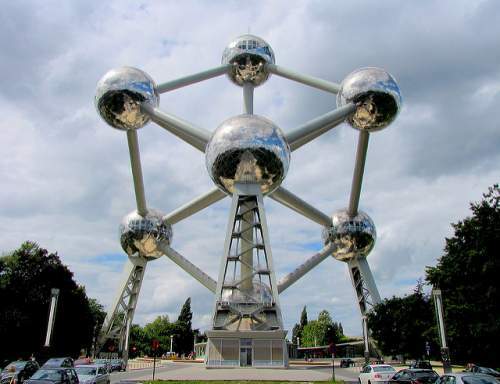 In 2013 CNN declared Atomium 'Europe's most bizarre building'; with a title like that, it's got to be worth a visit! 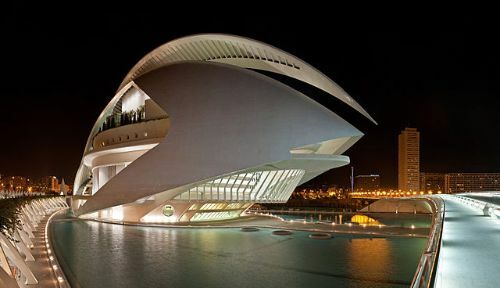 The Palau de les Arts Reina Sofia (which means 'the Queen Sofia Palace of the Arts' in English) is Spain's answer to the Sydney Opera House. Interestingly, this opera house, theatre and cultural center was designed by the same architect behind the Turning Torso which also appears on this list. In fact, this is the tallest opera house in the world; it features a large, dome-style roof and a moat-style expanse of water which can be crossed by a simple bridge. Essentially, the Pabellón de Aragon is a massive hall and exhibition space in Spain, which has been built with special materials and skylights to maximize the amount of natural light that filters inside. Apparently, it was designed to look like a wicker basket from the outside. Aside from the undulating walls, I'm struggling to see the resemblance! It is an incredible building to look at, but I can't help but feel that comparing it to a wicker basket is taking it one step too far. Chapels are meant to be majestic, and this Air Force Academy Chapel certainly delivers. It cost a whopping $3.5million to build over the course of three years, but for that price the designers delivered 17 spires. It was originally meant to have 19, but that would have stretched the budget too far. However, it does beg the question: when it already cost millions, how much extra were two extra spires really going to add on? Nevertheless, it's just as impressive from the inside. The chapel was made with small gaps between the spires, which have been filled with bright, vibrant colored glass: a modern take on the stained glass window. It might have been built over 50 years ago, but if you ask me, this is what the chapels of the future will look like! This has got to be one of the coolest, most impressive apartment blocks in the world. It's not hard to see where it gets its name – balconies of different sizes protrude from the walls, making the glass windows look like huge pools of water. As it happens, apartments aren't the only things contained within this building. It's also home to a hotel, some offices and even retail spaces, so you'll have everything you need under one roof! 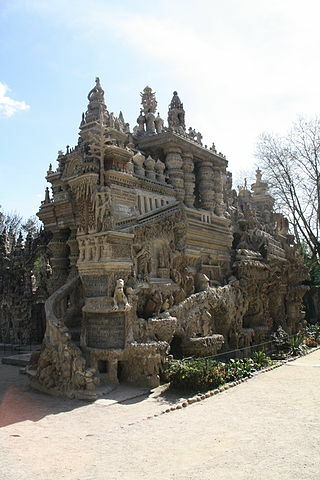 The Ideal Palace was built by a French artist/postman called Ferdinand Cheval. Starting in the 19th Century, he picked up individual stones on his rounds and slowly began crafting them into the magnificent structure that stands today. Completing all the work himself, it took Cheval 33 years, but the result is truly spectacular. Ornate carving and intricate detail make this not just an awe-inspiring building, but an astounding feat of determination and dedication, too. 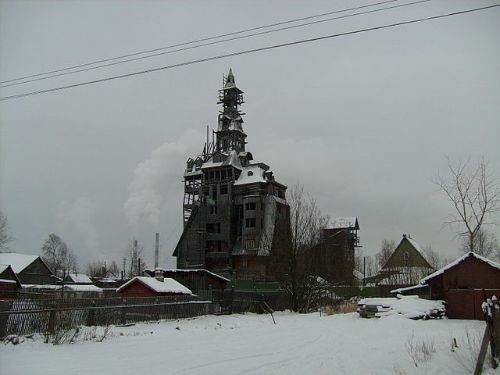 Russian gangster Nikolai Sutyagin decided to build a two-storey house out of wood. However, he wasn't quite happy with the result, so kept adding extra sections on in an apparently random way. What he's ended up with is a haphazard, precarious structure that stands at 144 feet tall, making it one of the world's tallest wooden houses. It might look pretty unstable – and quite frankly it probably is – but you've got to admit that this is still a pretty astounding structure to be built out of wood! Far from being an ordinary Buddhist temple, Wat Rong Khun is actually a huge art project. 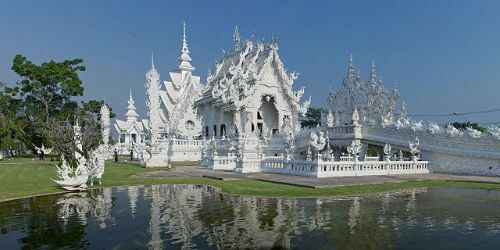 Its renovation was started by an artist called Chalermchai Kositpipat, and it's estimated to last for several more decades. It's plain white in color, which makes it both striking and beautiful to look at, especially with the addition of all its ornate, intricate carving. A stunning building with such a rich history deserves a place on this list of most amazing buildings in the world – especially when entry for visitors is free! 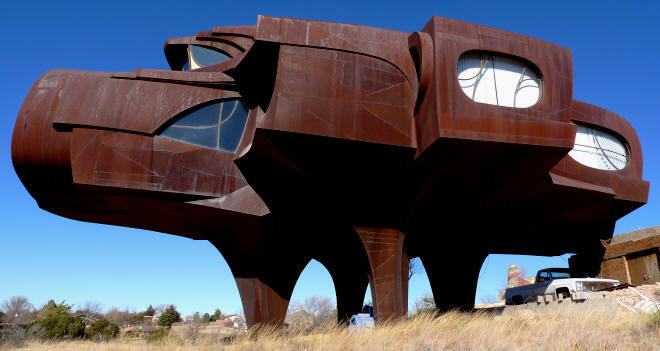 Robert Bruno was a sculptor who wanted to create a building in which he could enjoy the views over Ransom Canyon in Lubbock, Texas. So it was that he began work on the steel house – and it was work that he was never able to finish. Bruno himself admitted that his purpose in creating the house was 'to do something that has some aesthetic value', so he constantly removed certain parts of the structure and added to others. The entire building was made of steel and glass, so the fact that he completed all the work himself was incredibly impressive. Unfortunately Bruno died a few years ago, so we'll never get to know just what artistic creation his true genius was destined to come up with. 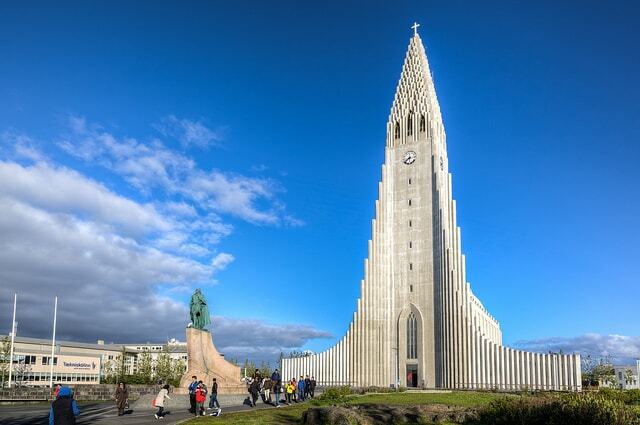 The church of Hallgrimur is an Icelandic church which has become one of the most amazing buildings on the planet. It when you stand looking directly at the front of the tower that its true magnificence really becomes clear. The tower sweeps down on each side in a wide curve, giving it a truly striking silhouette which is meant to emulate the shape of a basalt column. Aside from being a very impressive feature, this is also the tallest building in Iceland. Luckily, they've built an elevator up the tower which can take you right to the top, offering breath-taking views of what is a wonderful country! 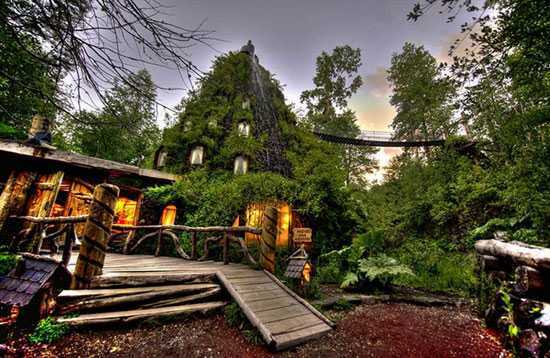 Nestled deep in the South American rainforest is this hotel which looks like something straight out of a fairytale. The hotel is actually built within a manmade hill which spouts water from the top, much like a cross between a waterfall and a volcano. The windows look like Hobbit holes built into the landscape, giving this building the feel of really being lost in nature. Visiting this place must be like the ultimate escape from reality. Who's in? Picture credit: "Krzywy Domek w Sopocie". No, you're not looking into one of those curvy mirrors at a funfair – this building really is shaped as if it's being squeezed in the middle. The inspiration for its design actually came from the illustrations of artist Jan Szancer, which explains its quirky shape and rather cartoon-like design. It might look pretty awesome, but the best aspect of this building is that it's part of a shopping center. Where better place is there for a bit of retail therapy than somewhere that looks like something pulled straight from the pages of a comic book? Picture credit: "Catedral metropol" by Bgabel at wikivoyage shared. 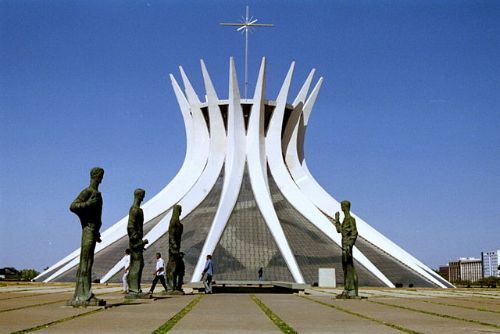 Is it just me, or does the Cathedral of Brasilia look like a rather impressive crown perched in the center of an open square? Whether it does or not, this building is actually designed to appear as though it's opening up to the heavens. The curved, white spikes which make up the structure are interspersed with enormous fiberglass panels, which let natural daylight flood in. Designed by Oscar Niemeyer, this has got to be one of the most amazing, striking buildings that you'll find anywhere in the world. 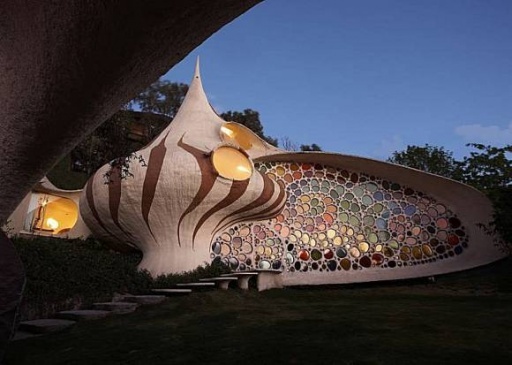 This truly awesome house is built in the shape of a seashell, curving in a gentle spiral shape. It as built for a family with two children who had become bored of living in conventional housing; they wanted to move into something that was more in-keeping with nature. So it was that Nautilus House was born! Even from the inside it doesn't look like a conventional house. Instead, its flow and smooth curves do genuinely make it feel like walking around inside a giant shell. That may be true, but it's from the outside that this house really comes into its own. An entire wall is made up of bright, multi-coloured glass in a mosaic, patchwork-style design, sending bursts of color shooting in every direction. Living here must be like living inside a kaleidoscope! Every time I see a picture of this house it brightens up my day and acts as a real mood booster, so it must be a million times better in real life. That's why this has got to be the most amazing building in the world!